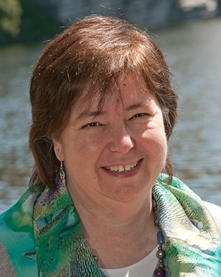 Janne Dooley, LCSW, is the founder of Brigid's Well. The concept of Brigid's Well refers to Janne's Celtic background. In Ireland, Brigid is a healer, and her wells are known as places of healing. Janne has been working with clients in psychotherapy since 1981, on Long Island and more recently in the Hudson Valley. She has been trained in Gestalt and Family Systems Therapy and EMDR. Janne specializes in healing from childhood trauma as well as recovery from addictions and codependency. Janne is also a Life Coach. Janne has a master's degree in Social Work from SUNY Stony Brook. Her undergraduate degree is in Women's Studies from Hofstra University. She has trained with the International Society for the Study of Trauma and Dissociation (ISST-D) and is currently a member of the New York City Interpersonal Neurobiology Study Group (NYCIPNB). She received her Coach training from Mentor Coach. She has also trained with The Foundation for Shamanic Studies and attended extensive workshops on Celtic and Native American practices as well as Buddhist meditation and thought. Janne Dooley lives in New Paltz, NY. She has offices in both New Paltz and Babylon, NY.